One of the local suppliers The Island Jar works with is Espanola Coffee Roasters, located in Espanola, Ontario (30 minutes from Manitoulin Island). The founder, Dan, started this business in 2016 out of a passion for high quality, freshly roasted coffee that he was unable to find in his immediate area. The response to his coffee has been excellent and has motivated him to grow his production from a passion project to an established and growing business. Dan works with a coffee importer in British Columbia, Mountain Coffee, who shares Dan’s values and ensures the farmers who are growing and harvesting the green coffee beans are earning a fair price for their work. Dan loves to share his knowledge and educate people on the process of growing, harvesting & roasting coffee, as well as the importance of Fairtrade and ensuring everyone in the supply chain is looked after. "Grow, protect, and enhance supplies of quality coffee while improving the livelihoods of the families who produce it". Espanola Coffee Roasters is certified through Fairtrade Canada and they are working on becoming Certified Organic. 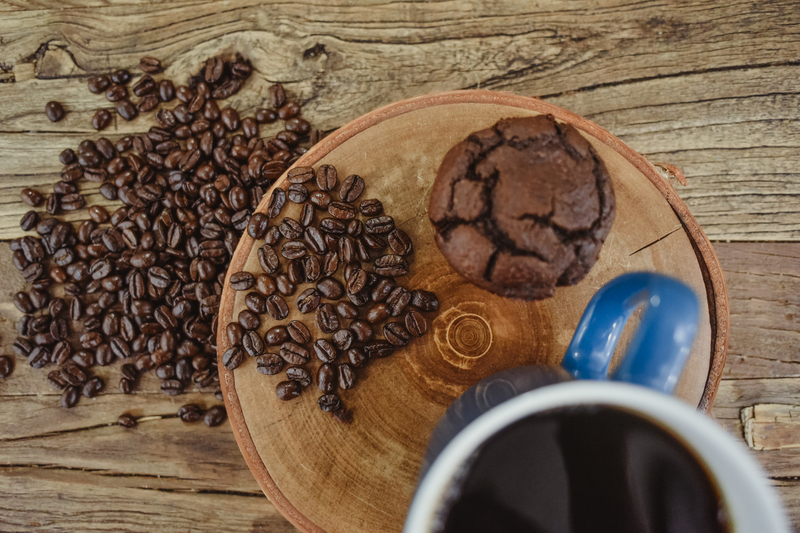 Fairtrade Canada helps farmers in the commodity coffee market by setting a minimum price/lb of coffee to protect against market fluctuations. At The Island Jar, we carry Dan's Colombia, Guatemala & Honduras beans, as well as our personal favourite (we might be biased) The Island Jar House Blend! All beans we carry are Fairtrade Certified & Organic. To keep the beans as fresh as possible, Dan roasts the coffee in small batches and we only carry whole beans; thanks to Dan we have a grinder on site so you can grind your freshly roasted beans however you like (e.g. for a drip machine, french press, espresso, etc.)! If you’re on Manitoulin Island, stop by our shop downtown Little Current to try a cup of Dan’s delicious coffee, or grab a bag to take home and enjoy!